Hello beauts! Summer is not over yet! I refuse to let it end. So, before the inevitable arrival of Autumn, I wanted to share with you all my summer skin care essentials! 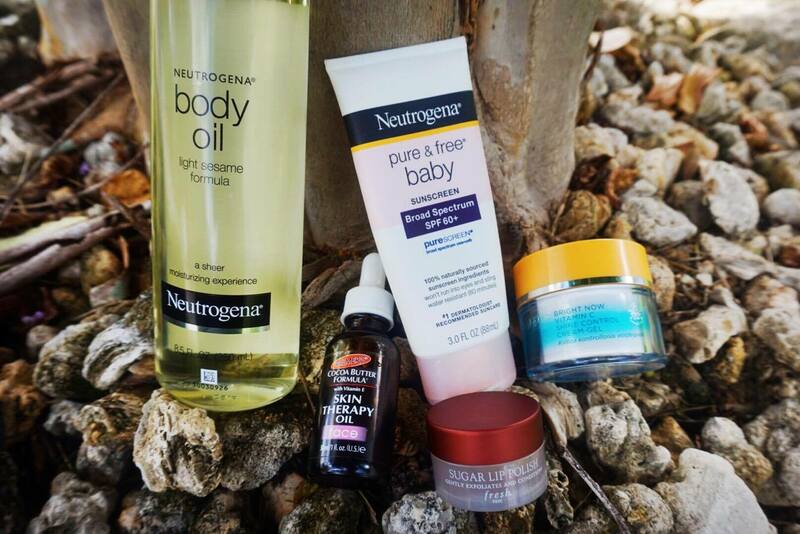 These are products that, somehow, manage to get me through the summer (not without mishaps, of course). There are some products in this list that I only use in the summer and some that I use year-round. Continue on if you want to learn more about each product, how I use it and why you should get your own. In the summer, my lips tend to get dry similar to how it gets in the winter. In order to exfoliate and get rid of the flakes that come with dry lips, I use the Fresh Sugar Lip Polish. This stuff is really great because it not only scrubs off the dead stuff from your lips with real brown sugar, but also leaves your lips feeling moisturized because of the natural shea butter in it. Also, during the summer months your lips are extremely susceptible to getting sunburnt. So I highly suggest to prevent sunburnt lips, apply sunscreen over your lips or get a lip balm with sunscreen in it. If you’ve got oily skin, PLEASE STAND UP. *ME STANDING*. Yea, so I have oily/combination skin. My skin gets dry in the winter and oily as heck in the summer. 98% of products that I use on my face has some sort of shine control or matte feature that I desperately need when it’s 100 degrees outside. I love this Lumene Vitamin C Shine Control Cream because it’s thick and moisturizing, but does its job of controlling my crazy glow. I love using this as a base for my makeup during the day and it doesn’t hurt that it smells really, really good. This one is for all my brown girls and boys out there or any queen or king that suffers from dark spots, hyper pigmentation and uneven skin tone. Being in the hot summer sun can really be a debbie downer when your dark spots get darker or you begin to inadvertently age your skin about 5 years. This oil has pretty much every oil in it from Sweet Almond Oil to Grapeseed Oil to Sesame Oil in order to help with rejuvenating the skin after a long day spent outside (or even inside for that matter). It also contains retinol which is an anti-aging ingredient and Vitamins E and C to really brighten up those dark spots and even out that melanin. Love this oil! *When using retinol or products with retinol, please USE sunscreen. Retinol can make you more susceptible to sunburn. This is my favorite sunscreen! It glides on like BUTTA and it has great coverage! Sunscreen is the most important thing you need when you plan on spending significant time outdoors. I personally love this one specifically because of how gentle it is since it is a sun lotion for babies and it prevents pre-mature aging, fine lines, sun spots and of course, skin cancer. USE SUNSCREEN PEOPLE! Last but not least is this awesome body oil by Neutrogena. 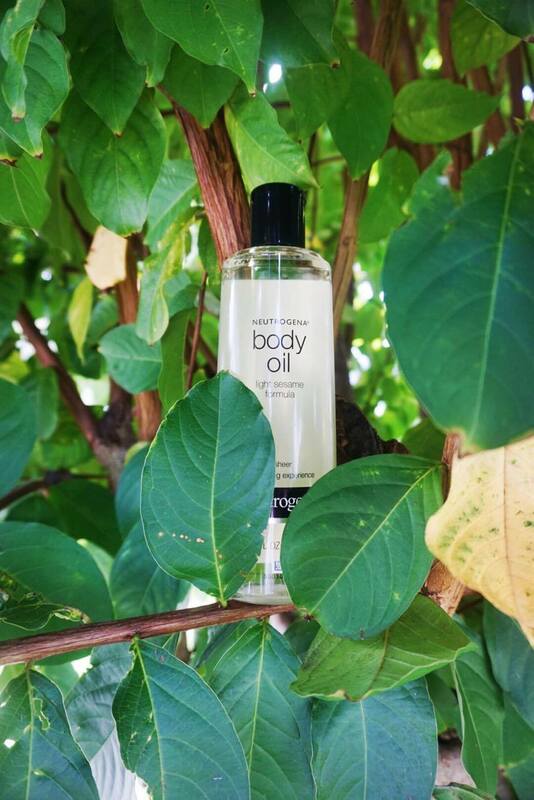 This body oil has numerous uses. You can put it in your bathwater to soak in, you can use it as a shaving cream or as a moisturizer. It’s perfect as a moisturizer in the summer because it is extremely light, but very moisturizing. It also has a light fragrance that is not too overwhelming. I hope you guys take into consideration some of my favorite summer skincare essentials. Let me know what some of yours are in the comments below! Also, don’t forget to subscribe!